Recent studies examined different approaches to dieting. Two new diet studies that appear to reach opposite conclusions on what works better for weight loss have left me scratching my head. Both were published last week in highly respected medical journals, but one found that following a high-fat, Atkins-style diet for 12 months led to more weight loss than a low-fat diet, while the other found that it didn’t matter which diet people followed; they all lost similar amounts of weight over the course of a year simply by cutting calories. 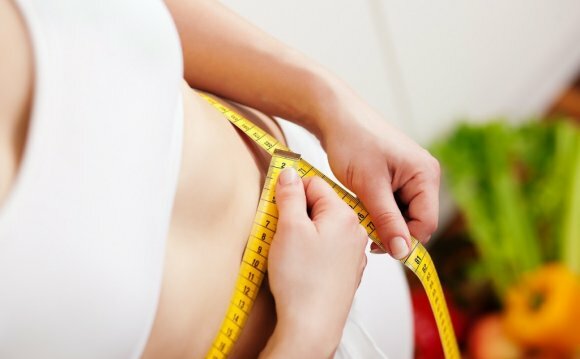 The first finding, published last Monday in the Annals of Internal Medicine, randomly assigned nearly 150 people to follow either a low-fat or low-carbohydrate eating plan and found that those in the low-carbohydrate group lost an average of nearly 8 pounds more by the end of the study than those who followed a low-fat diet. The low-carbohydrate group — which capped their carbohydrates at 30 percent of total calories — also lost more body fat compared to muscle and experienced a greater improvement in their cholesterol levels and overall heart disease risk compared to those who limited their fat intake to no more than 30 percent of calories. On the other hand, a review of 48 randomized weight loss trials published last Tuesday in the Journal of the American Medical Association found that both low-fat and low-carbohydrate diets led to a 16-pound weight loss over a year compared to following no diet. This led the researchers to conclude that weight loss differences between diet plans like the low-carbohydrate Atkins and Zone diets and low-fat Ornish plan “were minimal” and that overweight folks should try any diet that’s easy to stick with in order to lose weight and keep it off. I asked cardiologist Dr. Dariush Mozaffarian, dean of the Friedman School of Nutrition Science and Policy at Tufts University, to sort out the confusion. Here are edited excerpts from our interview. How is it possible that two groups of reputable researchers could reach such diametrically opposed findings on these diet studies? There are two important differences between these studies that show they’re not contradictory. In the single trial published in the Annals journal, researchers didn’t ask people to reduce their calorie intake but just instructed them to change the composition of their diet — eating fewer carbohydrates or less fat. In the JAMA meta-analysis looking at commercial diet plans, participants reduced how much they ate and also altered their diet composition, so it’s impossible to know what actually led to the weight loss. The meta-analysis also didn’t determine how much of the weight lost was fat and how much was muscle. In the single trial, researchers determined that study participants lost 1.5 percent more body fat following a low-carbohydrate diet compared to those who followed a low-fat diet. Do calories still matter, or do we not need to think about portions if following an Atkins-style eating plan? If you want to lose weight fairly quickly, cutting calories will help you succeed, and it doesn’t really matter whether you eat fewer carbohydrates or less fat. But it’s hard to cut calories long term, which is why so many people who lose weight gain it back over time. If you’re willing to change the kinds of foods you’re eating, you can lose weight slowly over time and keep it off. That’s what the Annals study found. Carbwiser is a Low-carbohydrate diet book by Englishman Dave Mills that uses a question and answer format to give the reader the information needed to follow a controlled-carbohydrate way of life safely.